Meet Justyna Neryng. 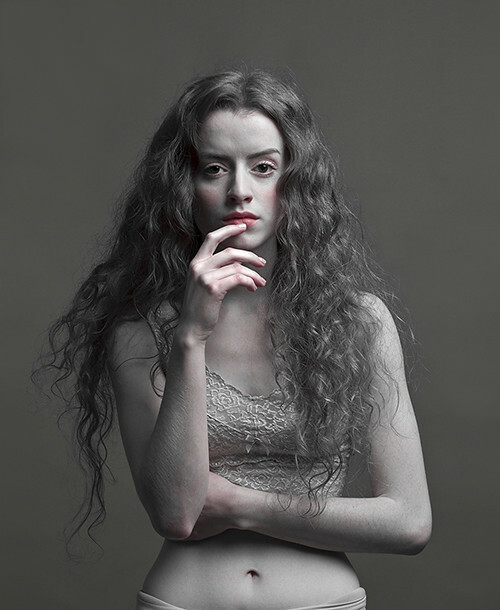 Justyna is a talented and concept-driven photographer living and working in the United Kingdom. Her body of photographs include emotive portraiture that draws out childhood memories, isolation, and vulnerability. Justyna has been recognized for her powerful images, and in 2011, was awarded the Gold Medal for the Royal Society Print Competition. She has also been featured in publications such as Getty Images 2009-2011, New Polish Photography, The Guardian Magazine, Professional Photographer, and Absolute Magazine among others. We were first introduced to Justyna's photographs in 2013, and were captivated by her portraits, handmade costuming, and attention to detail. We are thrilled to share her work with you and discus some of the important considerations in her photography studio. 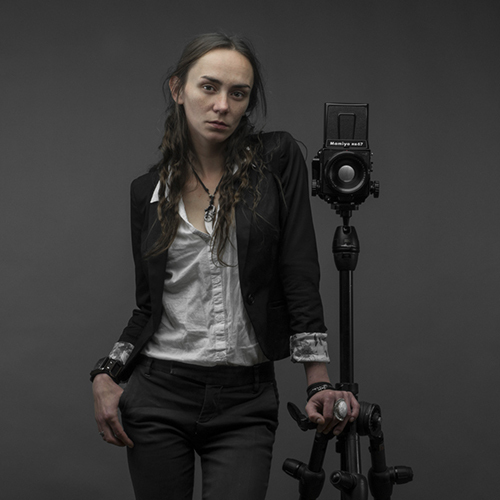 In this interview, Justyna discusses her relationship with photography and the subject, using herself and daughter in images, her sources of inspiration, and much more. Could you tell us about your background, where you are from, and your introduction into photography? I was born in Poland in 1981. I grew up roaming the dark forests around my village. I came from very creative and artistic family. My Father introduced me to drawing, painting and photography when I was about 5 years old. He taught me how to use a camera, and I have such fond memories of creating prints in our darkroom. As a teenager, I kind of gave up photography and decided to follow my Grandmothers dream and become a dressmaker. I’ve studied fashion for a few years back in Poland, I guess my interest in costume came from her, and expresses itself in “Childhood Lost” more than some of my other work. I began taking photographs again about 14 years ago when I become a resident in the UK. I started to experiment with digital cameras and self portraiture. I was very lucky to meet some wonderful artists who encouraged me and generously shared their technical knowledge, and I suppose it was only natural for me to start by using myself and then my daughter as models. Can you describe your current body of work and aesthetic? 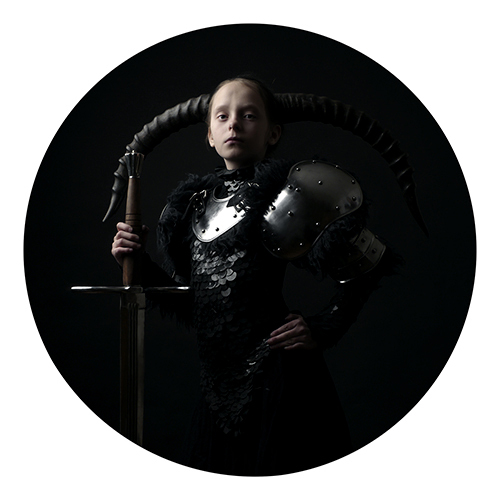 You made an incredible series of photographs called Childhood Lost, which included portraits of children in formal and heroic attire- a combination of nostalgia, and drama Could you share the process and inspiration for this project? "Childhood Lost" is an autobiographical project- a self portrait in a different body. The images are aesthetically inspired by portraiture from the Golden Age of Dutch painting. I use traditional drawing on paintings as inspiration, giving the photographs a timeless feeling. The other main component of this project, is the painstaking style and prop building, which are used to evoke different personas. In the photographs, the personas are played out by my daughter. Later this year, I will be remaking new costumes to shoot this series for a solo exhibition handmade books. You have a unique ability to capture portraits that directly connect with the viewer and camera- they feel vulnerable, open, and emotive. Can you describe some of your favorite subjects and moments while shooting? I must say, I’ve never been interested in the way people look. I am most interested in what moves them deep down. I try to capture there soul, not their likeness. As to my favorite subject and photographing moments, is definitely working with my daughter. Producing "Childhood Lost" with her has been and still is an incredible journey and an adventure for both of us. Some of your images feel like Renaissance paintings or plays. Could you talk about this relationship and what elements you are inspired by? I am influenced by the lighting used in historical painting, and I’m always dumbstruck by Caravaggio lighting. That being said, all of my images are constructed so I have the ability to create space and light, much like a painter's methodology. My photographs are composed and lit within the studio, and even on location. I use artificial lights to control the mood of the image I’m making. I am trying to use these techniques to document something I feel, rather than something I can see. I am not one to go out into the world and use a camera to capture what is already there, but instead I try to use the camera to record how the world affects what is in me. What is it like using yourself as a subject of many of your works? What are the considerations and differences in body language and approach? I find it much easier working with myself; I guess it is because I feel that I have all the power and control over what I am photographing. What projects are you currently working on? What can we expect in the coming months? I’m currently working on “Childhood Lost” and “Ghost Dance." In April, I will be developing a project that explores the physicality of the body, photographing male and female body builders. This project is inspired by Robert Mapplethorpe’s work. The most challenging project that I am making this year will be the“Concentration Garden” project. It will take place back home in Poland, where I will be producing new self portraits using the beautiful landscape of my home land as a background. Thank you, Justyna, for letting us into your world. It is an honor to hear about your thoughts in photography, see the projects that you are working on, and some of your most powerful images. You can find more of Justyna's work on her portfolio site here. We are featuring Justyna's work as a creative and artist in correlation with the upcoming Omnibus Treasury Exhibition. An illustrated jewelry exhibition that embodies our love for adornment, costuming and personal identity.